Samsung has done an Android tablet with AMOLED display in the past, but the recent slates from the global market leader have all been using LCD panels. However, we might soon be looking at a range of AMOLED tablets from Samsung, according to a report from the Korean Digital Daily publication. 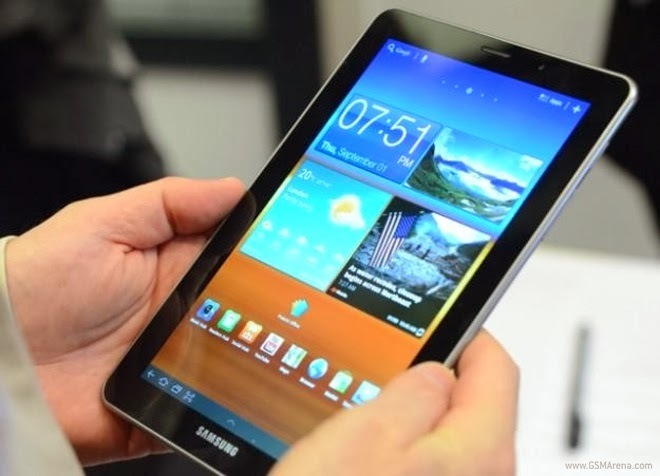 The latest report from the Korean media, suggests that Samsung is working on 8″ and 10″ tablets with AMOLED screens. Both tablets are expected to be officially announced early next year. Samsung’s upcoming tablets are said to compete against the likes of Apple’s iPad Air and iPad Mini. Meanwhile, the company’s mid-range offerings will continue to make use of the LCD panels, an approach similar to the one Samsung uses in the smartphone sector. Unfortunately, there is no official word at the moment. So, take it with a pinch of salt and don’t get your hopes too high.